Sure, some may argue the whole point of an awards show is the actual ceremony. While the 66th Annual Primetime Emmy Awards aren't until August, real die hard television fans can catch Mindy Kaling and Carson Daly announce the 66th Primetime Emmy Nominations this week. While we're excited to see new late night personality Seth Meyers take the hosting helm for the main event on August 25, you can catch Kaling and Daly team up for nomination announcements this Thursday, July 10. The action goes down bright and early for west coasters, as the ceremony begins at 5:40 a.m. and is broadcast live, (meaning a slightly more reasonable 8:40 a.m. view time for East Coasters). The only way to catch the holy-crap-that's-early nominations ceremony is live on the Emmys website, but with so much intrigue and propensity for potential upsets, it's bound to be a thrilling watch. For example, fan-favorite internet dramedy Orange is the New Black competes as a comedy contender, which means it may find itself pitted against goofier offerings like Modern Family. The Hollywood Reporter posits the choice is a smart move for Netflix, positioning the show away from its other big property House of Cards. The Hollywood Reporter story further details how hour-long dramedy is not completely alien for the awards show, with programs like Glee and Desperate Housewives garnering noms in the past. We can't wait to see what day-appropriate dubs our favorite funny fashionista will pull out for the nominations ceremony. 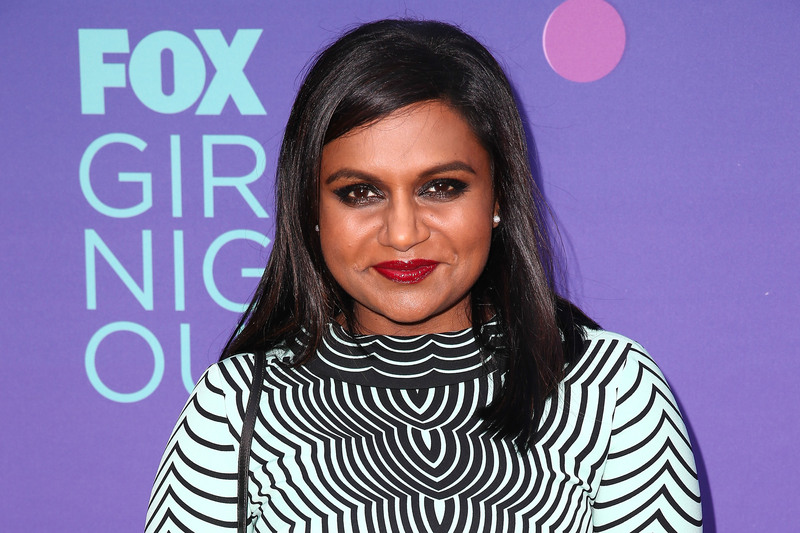 The writer and Mindy Project star is an unabashed lover of all things glam as seen on her show, Instagram, and of course the red carpet, so we're sure this mini-hosting op is right up her alley. Kaling and Daly are no stranger to the Emmys from the other side of the stage, either. As reported by Harvard Magazine, Kaling received five consecutive Primetime Emmy nominations as producer of The Office. Daly was nominated twice for producing The Voice , snagging an Emmy statuette for the reality singing show in 2013. You'll have to tune in to see if your favorites like Zosia Mamet of Girls made the Emmy cut, but even if she doesn't,there's plenty to obsess over. Like which actors who you may not think as leads submitted themselves as such (paging Homeland's Damien Lewis). TV.com reports on that and other insider tid-bits, like which leads from the same show have thrown down to compete head to head in the same category. With all of the mainstream online and cable nomination options, this year's announcement ceremony is sure to be an edge-of-our-seat affair.